If you are sick and tired of mowing your lawn, perhaps you need a different type of turf. Bella bluegrass is a dwarf vegetative grass that spreads and fills in nicely with a slow vertical growth pattern. This means less mowing but great year-round coverage. Bella turf grass performs great in both warm and cool climates, and thrives in almost any type of soil. The versatile grass is not propagated by Bella no mow grass seed, but by plugs or sod. It spreads by rhizomes, not by seeds, which makes it a quickly established lawn in no time. Bella grass is a Kentucky bluegrass. It was developed by the University of Nebraska more than 10 years ago and slowly impacted the market. It spreads quickly laterally but has very limited vertical growth. This is a winning situation for most gardeners who consider mowing a chore. The grass establishes quickly and provides a deep blue-green lawn from early spring until late fall. No mow grass is the way to go for most lawns due to its versatility and durability. Bella turf grass was developed as a no mow grass but also as a hardy, adaptable turf species. The grass can tolerate low or high light, drought, is disease resistant and can thrive in high heat. 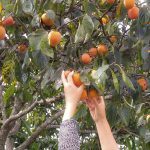 It grows well in full sun or up to 80 percent shade. Many grasses are only useful in either warm or cool climates, but Bella grass performs well in both. The wide leaf blades are an attractive blue-green color that stays deep even in summer’s high light conditions or fall’s cooler, cloudy weather. 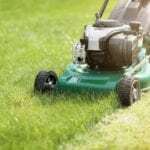 The grass gets only 2 to 3 inches tall, which means 50 to 80 percent less mowing. The grass has applications in the home as well as in industrial applications, such as golf courses and commercial sites. There is no such thing as Bella no mow grass seed in the nursery trade. This is because Bella is started vegetatively and spreads by rhizomes. 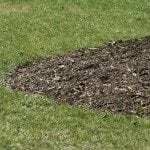 Purchase plugs in trays and plant them 6 to 18 inches apart, depending upon how quickly you wish the lawn to establish. Plugs placed 18 inches apart can be fully covered in up to 4 months. Closer planting will result in a quicker lawn. Before installing plugs, loosen soil to a depth of 4 to 6 inches and add topsoil after ensuring proper drainage is achieved in the area. If soil is clay, add some sand to loosen and accent percolation. Keep the plugs consistently moist for the first two months and, thereafter, water as needed. It requires consistent water for the best appearance but can tolerate brief periods of drought once established. Bella turf grass is easy to maintain and has few disease or pest issues. You can definitely bet on mowing at least half as much as a standard grass because of this dwarf grass’s slow vertical growth. Wait to mow for the first time 3 to 6 weeks after installation. The grass plugs should be filled in and the plants 2 inches tall. Set the mower high the first few times you mow. With good mowing practices and plenty of water, your Bella grass should establish quickly. Fertilize the grass in spring with a balanced turf food. 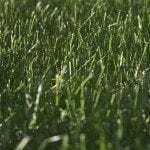 Read more articles about Kentucky Bluegrass.